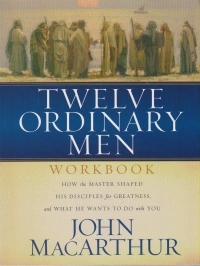 The Twelve Ordinary Men Workbook brings you face-to-face with the disciples as you've never seen them. You'll put yourself in their shoes. You'll understand their doubts and hopes. And you'll hear the power of Jesus' words in a whole new way . . . If Christ can accomplish His purposes through the lives of common men like these, imagine what He has in store for you!